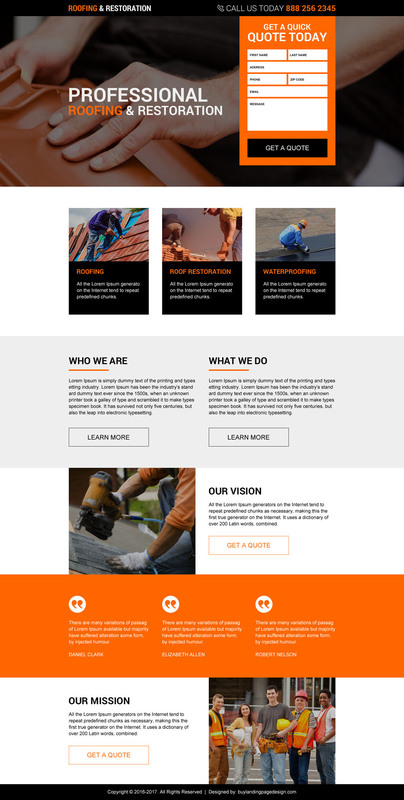 Promote your roof restoration and roof painting services with this creative and appealing roofing service landing page design and capture quality email as well as phone call leads. 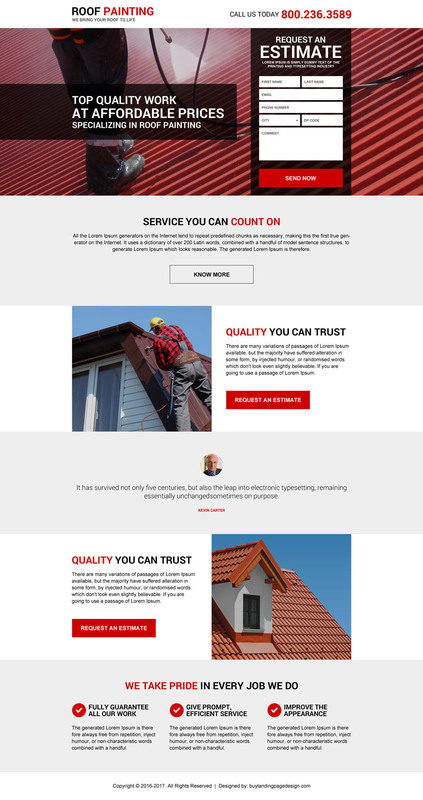 Promote your services online with a modern and clean looking roofing and restoration service landing page design and maximize your business by capturing quality leads and potential leads. Get a custom roofing service landing page design done according to your requirements at a very reasonable price. Get a free quote today by sending us your requirements. You can also browse some of our other best converting and effective landing page designs on our website.